Are your windows impossible to clean due to a foggy film between the glass? 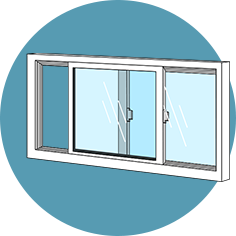 We are experts at repairing and replacing single pane and insulated glass units in all types of windows. It is often easier and cost effective to change the glass when the seal is compromised giving the window a foggy appearance. With over 35 years-experience we can service just about any window be it vinyl, aluminum, wood or composite. Over the years we have become known for our expertise in repairing Andersen Window glass and screens. We can repair or replace glass that other companies can’t or won’t. 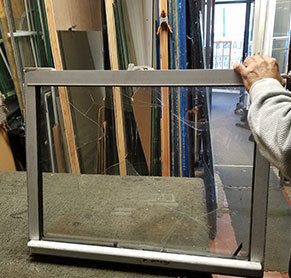 If you have a cracked or broken window glass from a break-in, baseball, UFO or any other type of accident, ask about our 24-hour board up service. We will get your house sealed and protected from the elements and pests as soon as possible. You can rest easy in the event that we can’t repair or replace your glass on the spot. When the glass in your entry doors or shower doors get damaged or broken call us right away. We can usually replace the glass on the spot. If not we will secure the opening while we order your new glass.